EnergyAustralia signs third PPA in 3 months, this time a 13-year deal for all the electricity generated by Victoria’s 60MW Gannawarra Solar Farm. Hot on the heels of a 13-year off-take agreement for the 142MW Ross River solar farm in Queensland, EnergyAustralia has signed another major renewable energy power purchase deal, this time in Victoria, for all the electricity generated by what will be the state’s first large-scale solar project, the Gannawarra Solar Farm. The first phase of Gannawarra – which is being co-developed by Solar Choice and Edify Energy and has planning approval for a total of 300MW – is set for construction in north-western Victoria, on the 220kV transmission line between Swan Hill and Kerang. On completion of the solar farm’s first phase – which is slated for early 2018 – it will have nameplate generation capacity of around 60MW, enough to meet the electricity needs of more than 25,000 Victorian homes. The 13-year Gannawarra PPA marks the third such deal in as many months to be announced by EnergyAustralia as part of its program to buy around 500MW of power from new wind and solar projects to help meet its share of the renewable energy target. Last December, it signed a PPA for the output of the 48.5 MW solar farm at Manildra in regional New South Wales until 2030. And it’s not the only energy retailer in the game, with various other major PPAs signed by Snowy Hydro, Origin Energy, Ergon Energy and AGL Energy in recent months. In the past two weeks, Snowy has contracted the 100MW Tailem Bend solar farm in South Australia, Ergon has committed to the 100MW Lilyvale solar farm in Queensland, and Origin Energy just yesterday revealed it had signed a PPA with Reach Solar’s Bungala Solar Project, a potentially 200MW affair being developed 7km north-east of Port Augusta. The activity is a welcome sign for the renewables market – and for the Clean Energy regulator – after commercial power retailer, ERM, chose to meet its RET obligation by paying more than $120 million in “penalties” rather than committing to new renewable energy projects. As we noted last week, a lot of the retailer deals are over and above the 12 mostly smaller solar projects that will be built this year after receiving support from the Australian Renewable Energy Agency. Another half dozen large solar projects have also been committed, including those not seeking contracts. Gannawarra was, however, one of the projects short-listed as a candidate for a funding boost from the Australian Renewable Energy Agency (ARENA) – and one of only two Victorian projects to make the list. EnergyAustralia managing director, Catherine Tanna – who earlier this week issued a public plea for a non-partisan push to renewables – said as an owner of big power plants her company felt a responsibility to promote and lead the development of cleaner forms of energy. “The Gannawarra Solar Farm is the first project in Victoria and third overall we’ve announced in EnergyAustralia’s $1.5 billion program to buy around 500MW of power from new wind and solar energy projects across eastern Australia,” Tanna said on Thursday. Tanna said negotiations between EnergyAustralia and proponents of other solar and wind projects across eastern Australia to meet the 500 MW of new renewable projects were well advanced. No mention of any storage. Why they announce 300MW to head line but later mention just 60MW will be built, whom are they trying to con? why not headline 60MW phase-1 will be desgined and built based on the signed ppa? 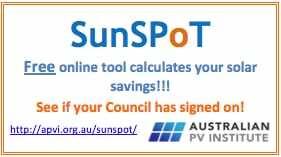 Has energy Australia really signed PPA for 300MW with Solar Choice? or Solar Choice is waiting for funding from ARENA to start the design? 1. RE’s journalist hasn’t placed 300MW in the headline/title of the article, and refers in consecutive paragraphs – which should be read together not in isolation – to the Gannawarra Solar Farm holding a planning approval envelope on land for up to 300MW and now also a PPA for stage 1 only (which has been signed between EnergyAustralia and Edify Energy for 60MW DC). 2. There is no ARENA funding applicable to any stage of this project. It was shortlisted but unsuccessful in last year’s ARENA process. 3. In large-scale solar farm development it’s not uncommon for a project to be built in stages within an over-arching set of planning and ecological approvals, with each stage having a separate SPV, plus separate off-take and finance arrangements.